Whether you’re a college student or not, everyone is looking to save a buck on their Disney World Vacation. 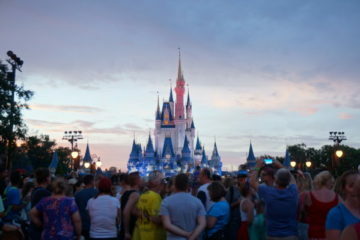 Disney World can be a great spring, summer, or winter break option for college students as long as you plan and budget well. Visiting during spring or winter could mean lower crowds because other students and families are in school or working. College students usually get more frequent and earlier breaks, so visiting while grade-school students are still in school not only means fewer people in the parks but also lower rates. Visiting during Festivals is also a great time. Food & Wine and Flower & Garden Festivals, during the fall and spring respectively, are great festivals to visit if you want to get a little extra out of your trip and possibly save money on food since the food stands serve up small portions at just a few dollars each! During these and other festivals like Star Wars Weekends, there are more characters and more to see and do than on “normal” Disney days. 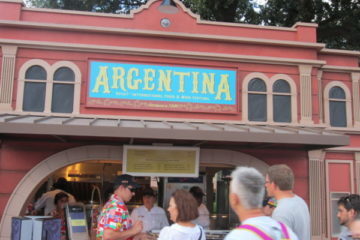 Festivals are a great time to visit Disney World! When considering transportation, you generally have two options: driving or flying. Driving may be a valid option depending on your proximity to Central Florida. Be sure to figure in gas costs. If you’re traveling with friends, plan out how to split the travel costs prior to loading up the car to avoid conflicts on the road. Be sure to visit a website like Roadtrippers.com for points of interest along the way! Flying is probably the quickest and most convenient way to get to Disney World. Check travel sites frequently for the best rates. Flights are usually cheapest three weeks before your departure date and around mid-week. Flyers can take advantage of Disney’s Magical Express, which transports guests from Orlando MCO to Walt Disney World property for free. If you plan to rent a car either to drive to Orlando or once you get there to drive around, be sure to check with rental car companies regarding their policies. Most have strict rental rules which sometimes include no rentals for people under 25 years of age. Orlando is a huge vacation destination, so there are hundreds of hotels in the area. Whether you choose to stay on or off-property, plan and book as far in advance as possible- the closer you get to your arrival date, the higher prices will be. 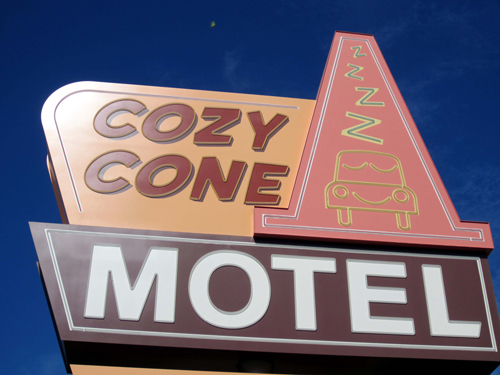 Off-site hotels may be less expensive on a per night basis, but there are some things to consider. Having access to a car is practically essential whether you plan to spend all of your time at Disney World or if you want to travel to other nearby parks and attractions. Although some off-site hotels have shuttles, they may only run a couple times a day and drop off at only a single location. Do your homework if you plan to stay off-site. Staying on-site at a Disney Resort Hotel is an excellent option. Guests get free transportation between hotels, parks, and other attractions on property like Disney Springs and mini-golf courses. As mentioned above, you’ll also have free access to Disney’s Magical Express. Combining free transportation to and from the airport and among locations on property, if you don’t plan to leave property at all, you eliminate the need for your own transportation, and that can save you a lot of money. If you do plan to visit nearby parks like Universal Studios or Sea World, a taxi might be your best bet since you can split the cost between your group of traveling companions. Choosing the right accommodations could be the difference between a good vacation and a great vacation! 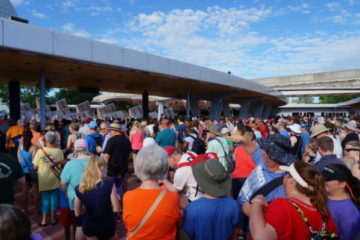 Disney also has several value resorts including Pop Century Resort, All-Star Sports, All-Star Movies, All-Star Music, and Disney’s Art of Animation. Although Art of Animation is the most expensive value resort, you get a lot of bang for your buck. You’ll have access to the only pool on property with underwater speakers, and you can easily walk to Pop Century. Landscape of Flavors food court also serves up delicious food on an a la cart basis. Finally, staying at a Disney Resort hotel means you have exclusive access to the parks during Extra Magic Hours that are only available to Disney Resort Guests. 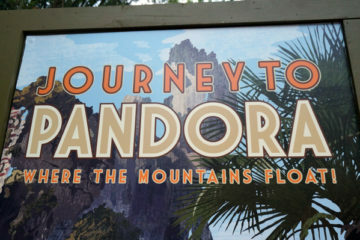 Admission to the parks will probably be your most expensive part of your trip. Don’t expect to get discounts on tickets, and be suspicious of anyone offering discounts since these are usually scams; you’ll end up losing all the money you spent and have to spend more money to purchase real tickets. Eating in Disney Parks doesn’t have to be expensive. First, evaluate how you normally eat and decide if the Disney Dining Plan might be a good option for you. It’s only available with a Magic Your Way Vacation Package, but it can save you a decent amount of money. What’s more, this is a pre-paid amount, so it’s easy to figure into your budget. You also might want to consider avoiding table-service all together or plan one special meal at a table-service restaurant while other meals are at quick-service locations. If your group really wants to indulge in some table-service locations, consider ordering off the appetizer menu. They’re often filling but less expensive than a full meal. Also, table-service locations are usually less expensive during the lunchtime hours than dinner hours. Plan accordingly. You may also want to consider packing some sandwiches and snacks. 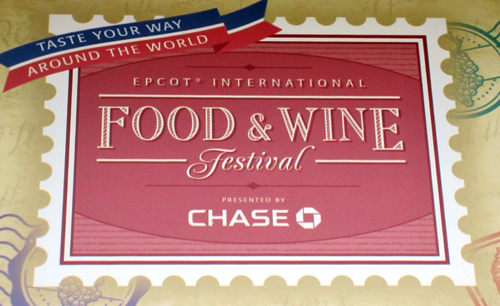 The only food items you are not allowed to bring into the parks are alcoholic beverages and glass containers. Sandwiches, fruit, granola bars, and just about anything else you would need to make a meal are all a go. Small snacks like Mickey Ice Cream Bars are relatively inexpensive so save on your meals and splurge on some special treats. Create a budget and stick to it especially for souvenirs. 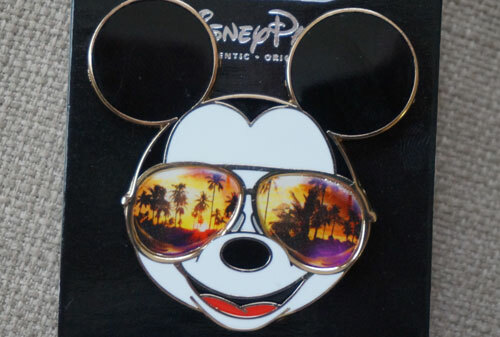 It’s going to be difficult to get in and out of Disney World without bringing home even the smallest souvenir, so again plan ahead. 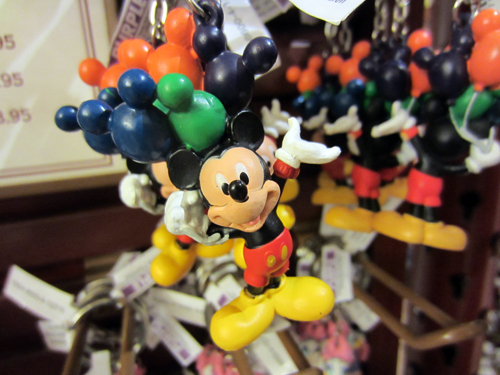 Plan out your budget and decide how much money you can afford to spend on souvenirs. Consider free stuff like celebration buttons (available at Guest Relations), park maps, stickers, and pictures. Other souvenirs like car antenna toppers, car decals, key chains, mugs, and picture frames can be pretty affordable. 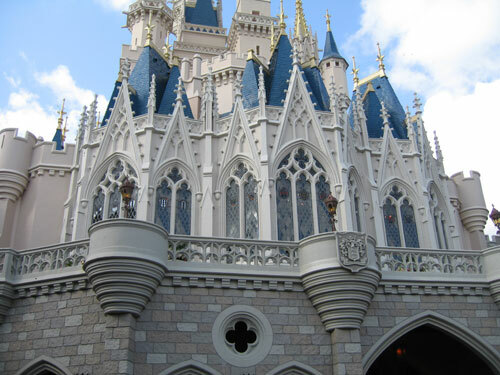 How do you save money on your Disney World trip?